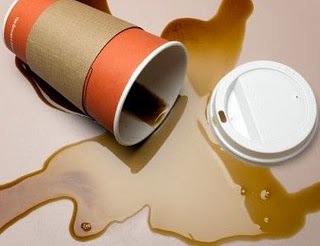 I drink, therefore I spill. I have spilled piping hot, freezing cold, and luke warm liquids of every kind and nature. I have spilled upon carpeting, table cloths, chairs, sofas, shirts, pants, dresses, and furnishings and articles of clothing the names of which I don't even know. I have spilled upon self, family, friends, neighbors, and people of every race, creed, and color. “Oh crap, I’m sorry!” is a major part of my vocabulary. 1) Sitting at a table at business meeting or Bar Mitzvah, I reach for the salad dressing, bread, or cream and over goes my water glass onto the lap of the lady wearing the $4,000 dress or the man in the silk suit. 2) Making a grandiloquent hand gesture to accompany a conversational point, I send a glass, cup, pitcher, or wine bottle flying through the air onto an assemblage of two or three friends. Actually, now former friends. 3) Failing to properly secure the lid to the coffee I am transporting from convenience store to car, I open the car door and, well, no wonder my upholstery is brown and it used to blue. “Perry, this is a new sofa, it cost me 1500 bucks”. If so, it probably wouldn’t be difficult to locate the dreaded Spill Gene as it busily bumps, upsets, and jostles all its surrounding genes. Scientists would merely have to check which chromosomes harbor genes constantly incurring unexpected dry cleaning bills. 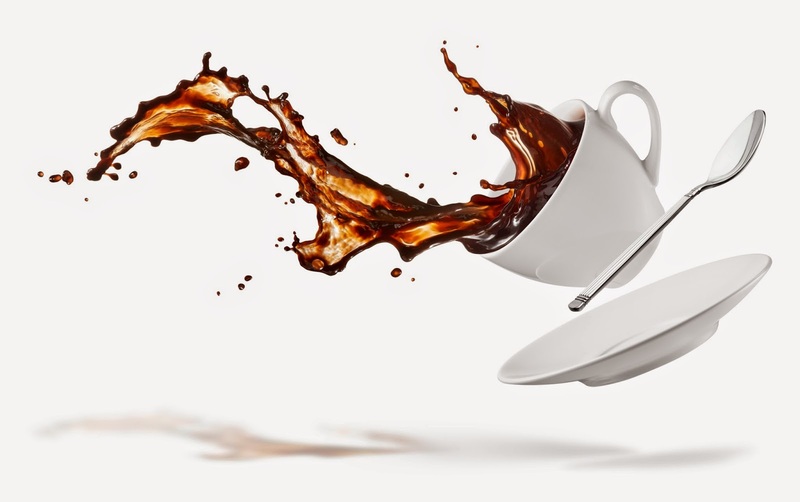 So is there any hope for we who spill more than the beans each and every day? Nope. Some truths are eternal. 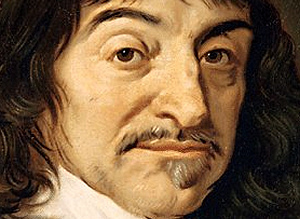 I raise my glass to you, Rene Descartes! Oh, crap, Renee, I’m sorry! I'm not a doctor, but I've always wanted to play one on TV. My guess is, you were bottle fed as a baby and never given the opportunity to nurse at the breast until you were at least 35. By then, your Spill Genes were so far developed that you could even spill a can of Carnation Evaporated Milk without even puncturing the container. There's no telling what kind of natural disaster you would cause if you got close to a large body of water. It's very possible that one of your ancestors was the last Israelite to make it through the Red Sea, and his inept Spill Gene caused the sea walls to collapse on Pharaoh and his Egyptian army. Please stay away from the Hoover Dam, the Atlantic and Pacific Oceans, and my bottle of beer. Yes, I'll have to stay away from Atlantic City from now on. They're having enough trouble without me taking out two or three casinos. As for nursing at the breast, I'd sure like to have that opportunity now. Only problem is my spill gene would get very excited and watch out, cheap watered-down Bud Light! At least you're an equal-opportunity spiller. This is why Shout Wipes were invented--you are not alone in your suffering.